CK Raut -led Alliance for Independent Madhesh has decided to change the name and flag of the party. 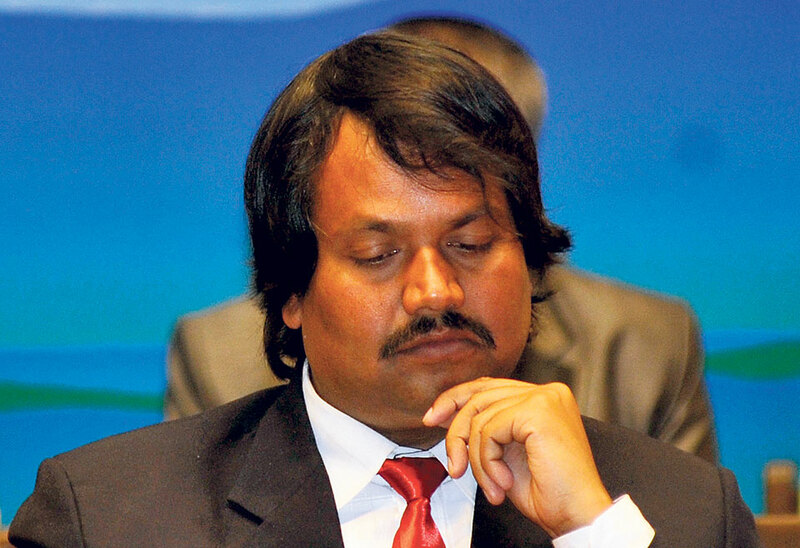 The new name comes at a time when the opposition has been protesting against the very word in the agreement between CK Raut’s party and the government earlier this month. The word, ‘Janamat’ in the agreement has been interpreted as per each side’s understanding, thereby causing confusion among many. 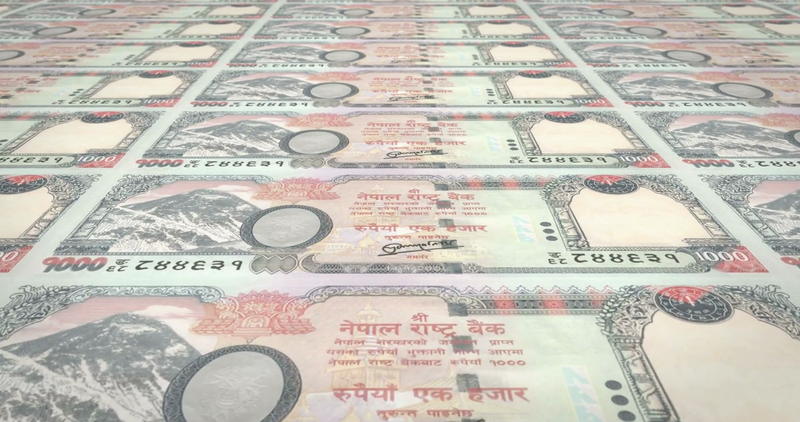 The government plans to flood Rs 1.35 billion in construction and development in the last quarter of the current fiscal year. The amount is a pile-up of the government’s failure to effectively and efficiently invest in development projects in the past eight months. So far, the government has spent 28.89% of the total budget of current fiscal year. 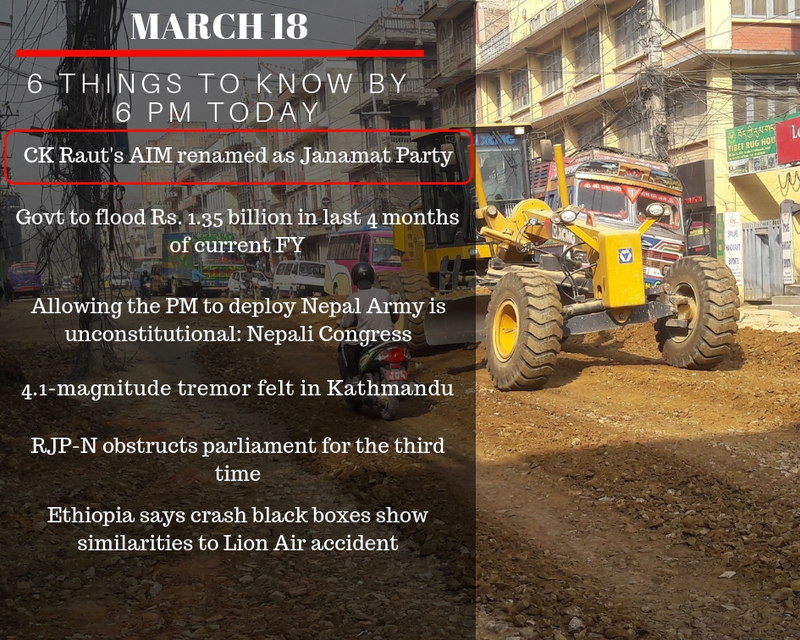 Nepali Congress has said that the proposal to deploy Nepal Army by the Prime Minister was unconstitutional. The main opposition said that the current National Security Council Act, 2075’s clause 6(3)’s proposal to allow the chairperson to deploy the Nepal Army “when the NSC’s meeting cannot be called” was against the constitution. 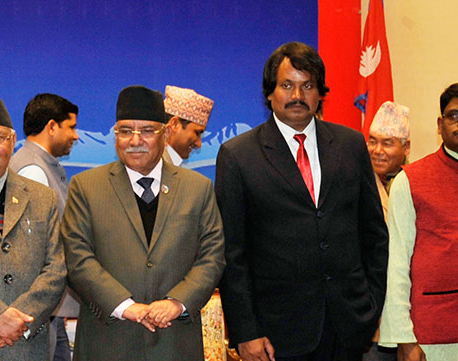 “What that means is that the Prime Minister, alone, would be able to deploy the Nepal Army.” The party said that such decision would devalue the work of the National Security Council, Nepal Army and weaken the institutions that are responsible to safeguard the country’s sovereignty, independence and integrity. 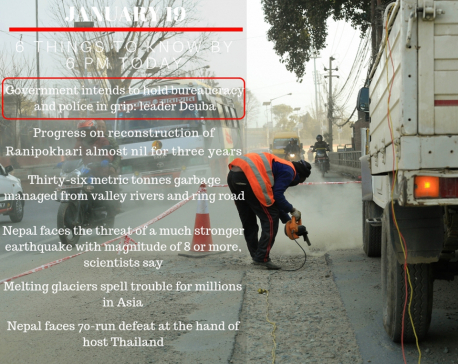 Kathmandu and its surrounding areas were hit by a 4.1 Richter scale Gorkha earthquake’s aftershock at 9:01 AM today. 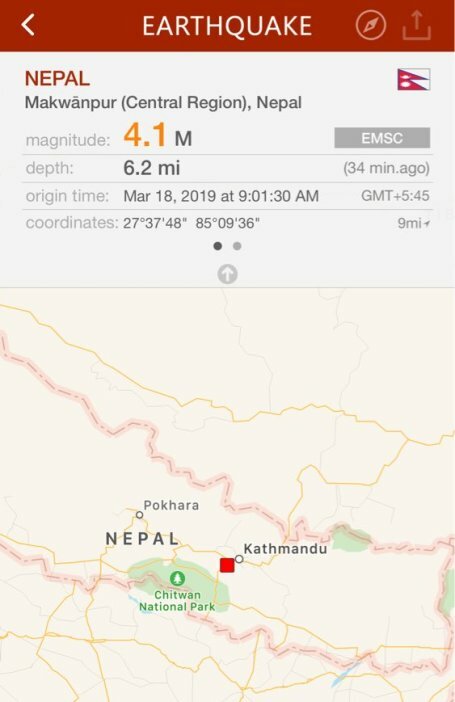 The earthquake’s epicenter was at Chitlang, Makawanpur. So far, there have been more than 510 tremors above 4 magnitude of the April 25, 2015’s earthquake. 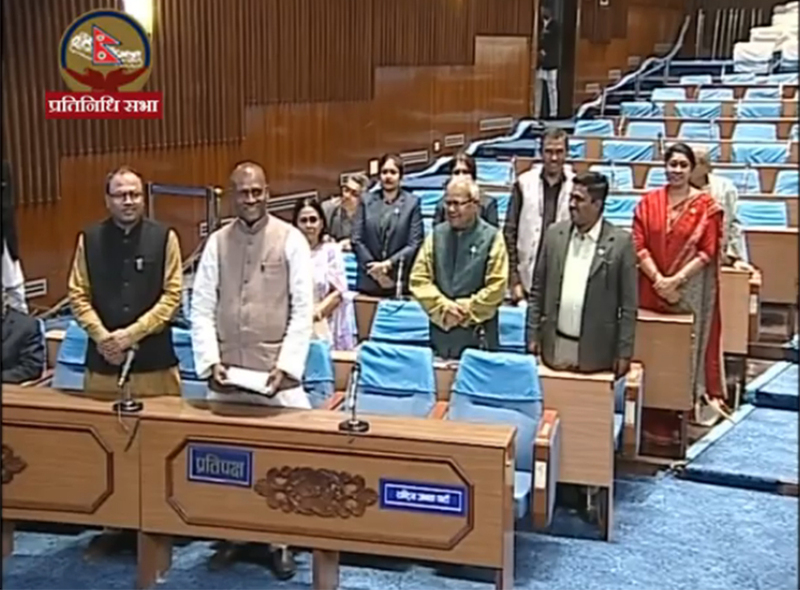 The Rastriya Janata Party obstructed the parliamentary proceeding of the House of Representatives for the third time. The party has also demanded that the government publicize the report of the Girish Chandra Lal Commission on the Madhes protest. The party expressed concerns over the government’s decision to ignore its obstruction and its demands. In turn, RJPN said that they’d continue to obstruct the parliamentary proceedings until the government publicized the report. 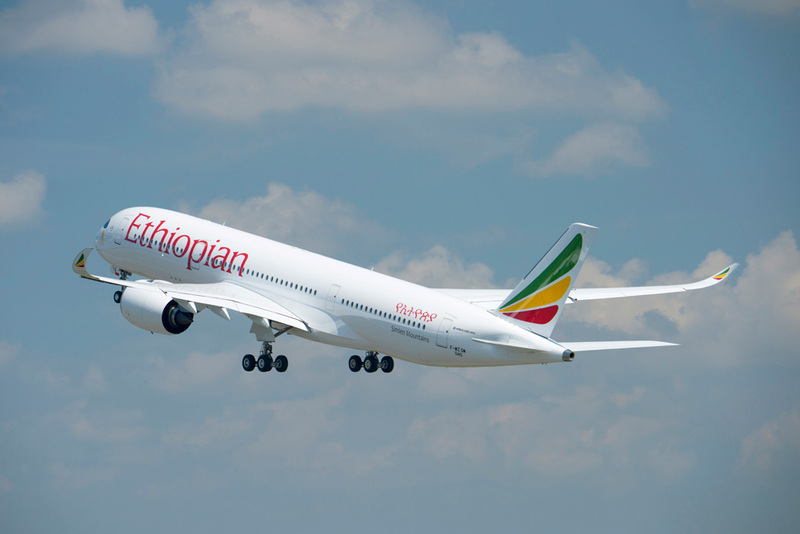 Ethiopia said that the crash of an Ethiopian Airlines plane that killed 157 people had “clear similarities” with October’s Lion Air crash, revealed by initial analysis of the black boxes recovered from the wreckage of the March 10 disaster. Both planes were MAX 8s, and both crashed minutes post take-off after pilots reported flight control problems. Concern over the plane’s safety has caused aviation authorities to ground the model, wiping billions of dollars off Boeing’s market value.